I’ve searched for a long time and finally found a US regular bank that will let me open a free checking account. It is BBVA Compass bank. All these services are free: ATM withdraw and deposit (BBVA’s and AllPoint ATMs), full featured Internet banking, full featured mobile banking, Visa debit card, Apple Pay and more. The non-free services are listed here and exact rates depend on the US state where the account was opened. To open a checking account, you must personally visit a physical branch in US and spend 40 minutes on an interview. You will leave the branch with an open account and routing numbers containing a $26 balance plus valid user and password that can be used on BBVA’s app and Internet banking. Free Visa debit card will arrive to some US address in a week or two, so no ATM until then. They have 2 free checking account types. You should chose the one that includes free or charge AllPoint ATM usage which are very popular throughout US, and can be found in almost every 7 Eleven store. Use the AllPoint app to find one near you. Before leaving the branch, they gave me the opportunity to test their mobile app on my smartphone with a $1 check they provided for deposit. So pre-install their app before coming to the branch. 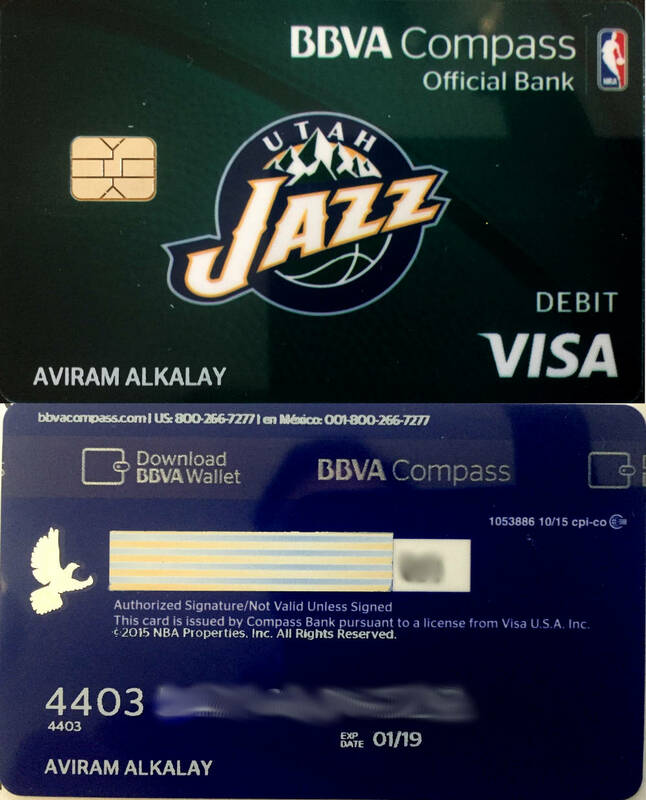 The AllPoint (ATM finder) and BBVA Wallet (debit and credit card manager) apps are also useful to have installed. A US bank account with a debit card is useful for travels to US where I don’t need to bring cash in the pocket: I can make an international money transfer prior the trip. Also, it helps me avoid some home country credit card taxes. Not to mention that US citizens and services can make and receive money transfers to and from me. 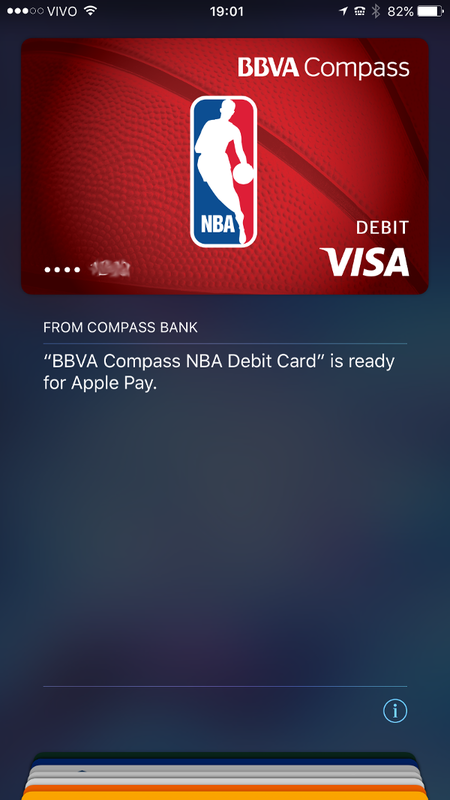 For the NBA checking account, use the app to set you want to “go paperless” to avoid receiving monthly paper statements that would cost $3/month. Same information on the paper statements can be seen in the mobile and Internet banking. BBVA services such as PopMoney, Visa Checkout and Bill Pay will not work and can only be activated if you have either a Social Security Number or US residency. Use your Brazilian credit card and be a victim of ⓐ credit card exchange rates (that you’ll know probably only after your trip) and ⓑ 6.38% of additional IOF taxes. Buy dollars in cash from an official exchange service (as Socopa or Daycoval) using the “dollar turismo” exchange rate (which is always higher than the “dollar comercial”). Pay only 0.38% of IOF taxes. And then travel with all this cash and worry about hotel lockers and safes and hidden pockets. And pay everything in cash during your trip. Buy dollars from an official exchange service (as Socopa or Daycoval) using the “dollar comercial” exchange rates (which are lower and better than the “dollar turismo”). Get it wire-transferred to your US bank account prior your trip. Pay only 1.10% of IOF taxes (even after January 2016, because the transfer is between same-owner accounts). Pay additional about US$30 for the international wire transfer service for your exchange service. BBVA will also charge you US$45 for the international wire transfer reception. And then pay for restaurants and goods with your US bank debit card, have better control of your expenses through mobile banking apps. Buy dollars from a friend that has a US bank account using the the “dollar comercial” exchange rates and make a US Electronic Transfer between accounts. This is a very cheap service, about US$3 per transfer, but usually takes a few days for the money to reach your account. Manually pay 0.38% IOF in Brazil (via DARF) but avoid the US$45 wire transfer costs. Have same benefits and ease of use as item 3 above. As #4, but instead of an Electronic Transfer, popular banks also provide free money transfer services. A friend with a Bank of America account once have sent me money with BoA’s ClearXchange service. My friend only needed my e-mail address, then I filled an online form on the ClearXchange web site and the money was available on my BBVA account on the next day. For free for me and for her. PopMoney, by BBVA, is a similar service for BBVA account holders that want to send money to others in the US. Clearly options 4 and specially 5 are the best, cheapest and most practical. E ae Ali, tudo certo? Qual branch você abriu a conta na Califórnia? Tem algum funcionário para indicar também? Estou na Califórnia agora, tentei abrir em uma cidade pequena que foi a primeira em que passei que tinha uma branch do BBva, porém não deu, a funcionária pediu ID da Califórnia. Ainda vou passar em Los Angeles e San Diego se puder me indicar alguma branch agradeço muito. Vou chegou a dizer se estava indo morar no EUA ou algo assim ou simplesmente disse que era turista? Simplesmente turista. Eles têm procedimento prá isso. Não precisa inventar que vai morar nem nada. Hello thank you for this. Please i went to a bbva bank and i was asked to bring a referral to the bank before an account would be opened for me. You suggested your name to be used, will it pass since i don’t really know you. Oi Avi, vc consegue usar essa conta com PayPal dos US e com Amazon pra debito ? meu objetivo também é usar isso na Amazon e trasnferir alguns fundos que tenho em dollar numa conta paypal americana para isso.